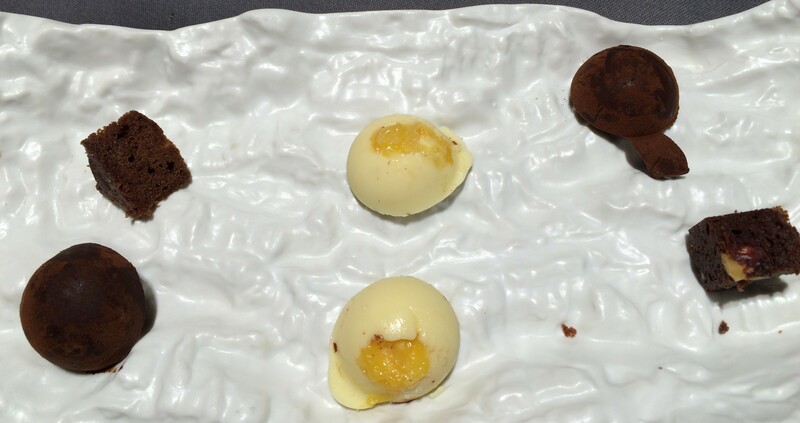 Three-star Michelin chefs are a dining experience, that’s for sure. 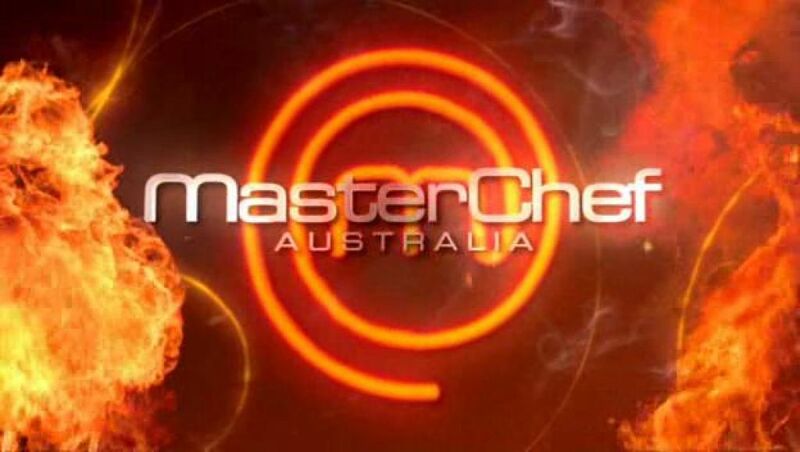 I haven’t had the opportunity to dine in a three-star Michelin chef flagship restaurant as of yet. 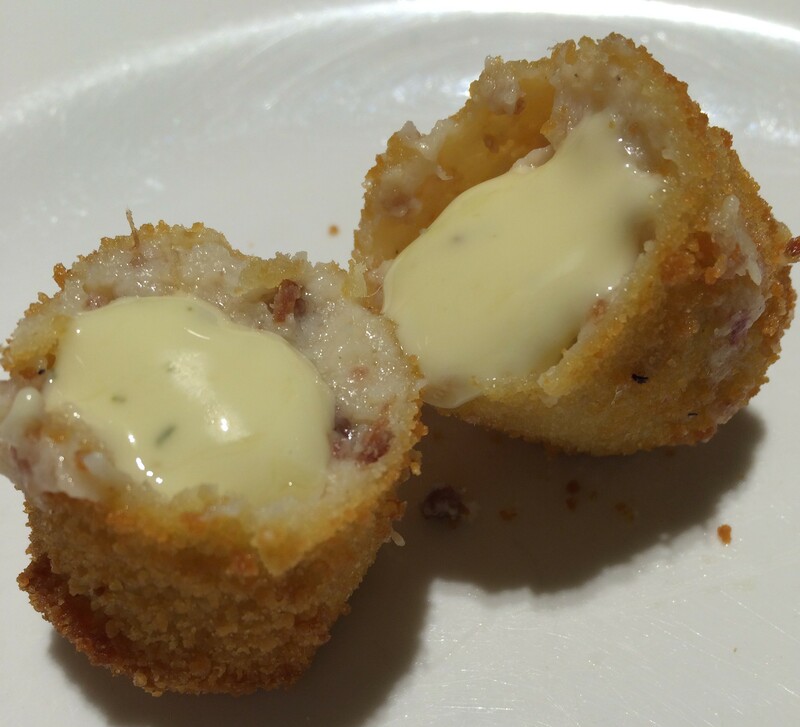 In Spain we wanted to eat at Martin Berasategui in San Sebastian, but we weren’t sure about the 200 Euro price tag per head. 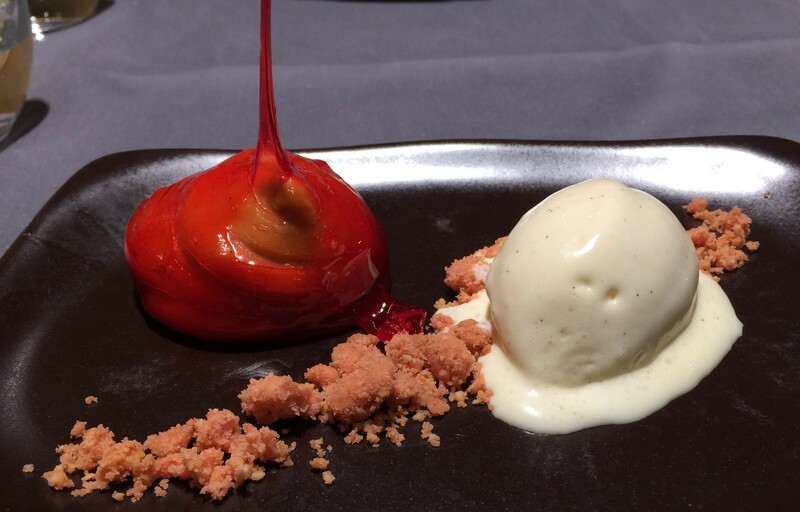 So when we found out that he has a dining experience in Barcelona that had not received any Michelin stars, but was his creation, we jumped at the chance. 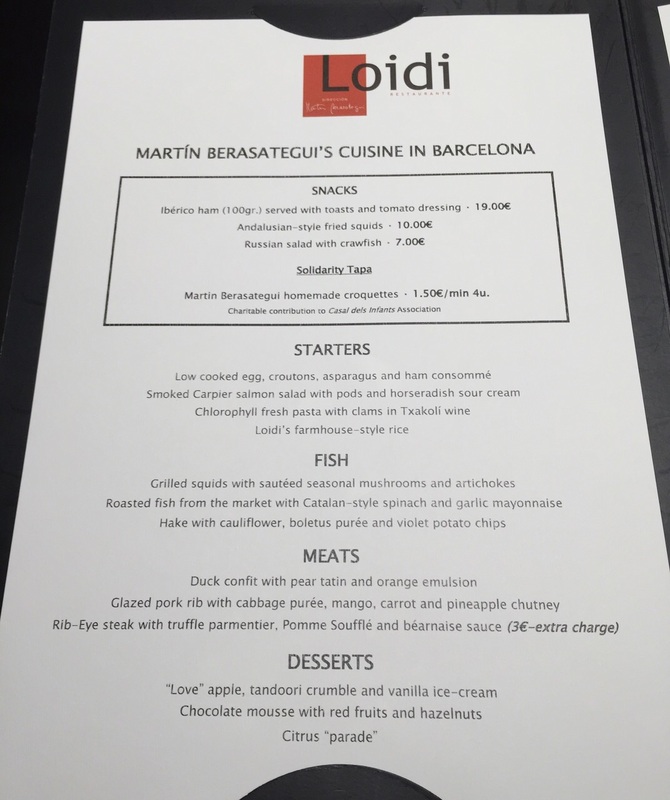 Loidi is located close to Casa Batlló, and we were certainly looking forward to it. Not being used to the dining timing in Barcelona, when we arrived at 8pm, we were a little shocked that it was pretty much empty except for 4-6 diners in a 100 cover restaurant. But, we went with it. We soon discovered that people started pouring in at 9pm. The menu is pretty simple. Choose a starter, a main of fish or meat, and a dessert. All for €28! And a three-star Michelin chef too! The choices look absolutely amazing. I wish we were six pax dining instead of just two, so we could order everything. But with only two of us we had to narrow the fish/meat selection down. A little Cava to start the night. 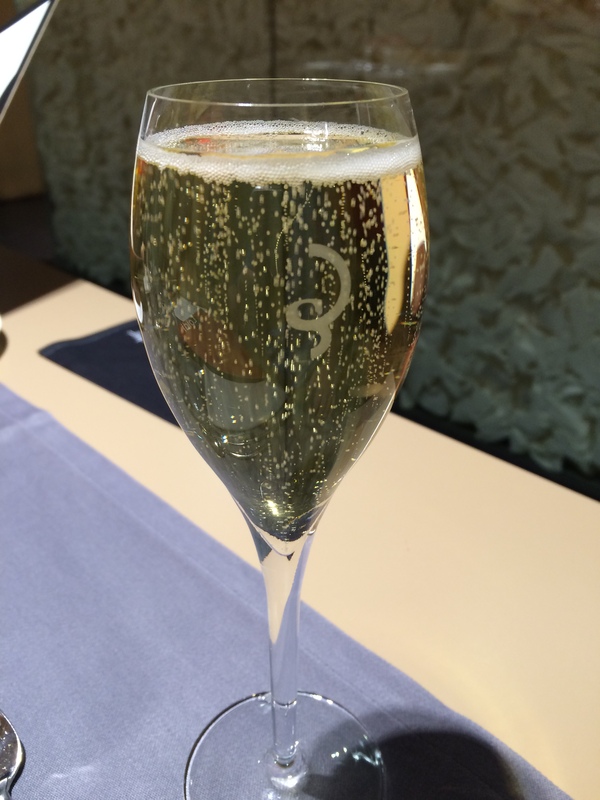 The Spanish champagne is light and bubbly. 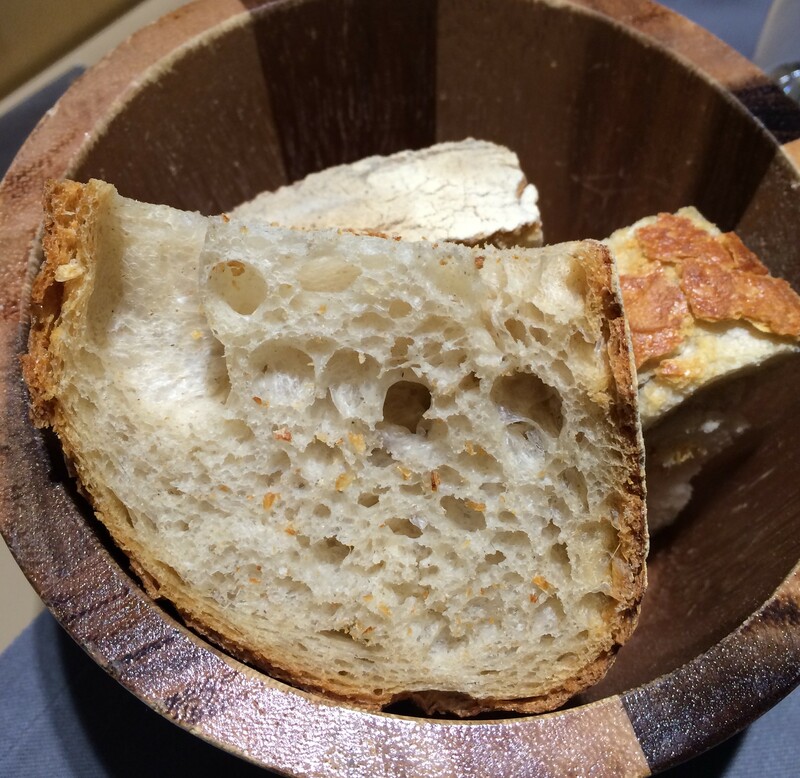 The bread was nice and crusty on the outside and soft on the inside. And came with the meal! Something you don’t see very often anymore! 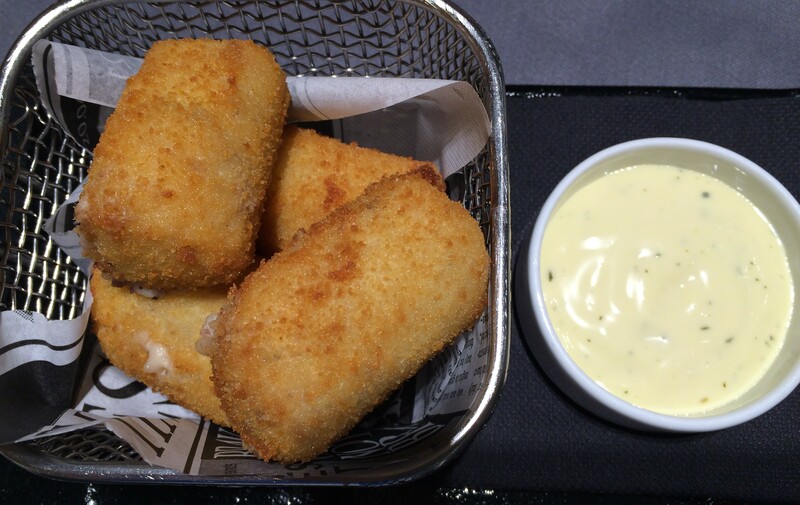 We decided to start the night with the famous Croquettes. Inside is Jamon and Cheese. Beautifully fried, not oily at all, and inside the flavor is amazing. What a great start to the night. The crispness of the crust was awesome and the gooeiness on the inside is just right. A little Amuse Bouche to start our tasting menu. 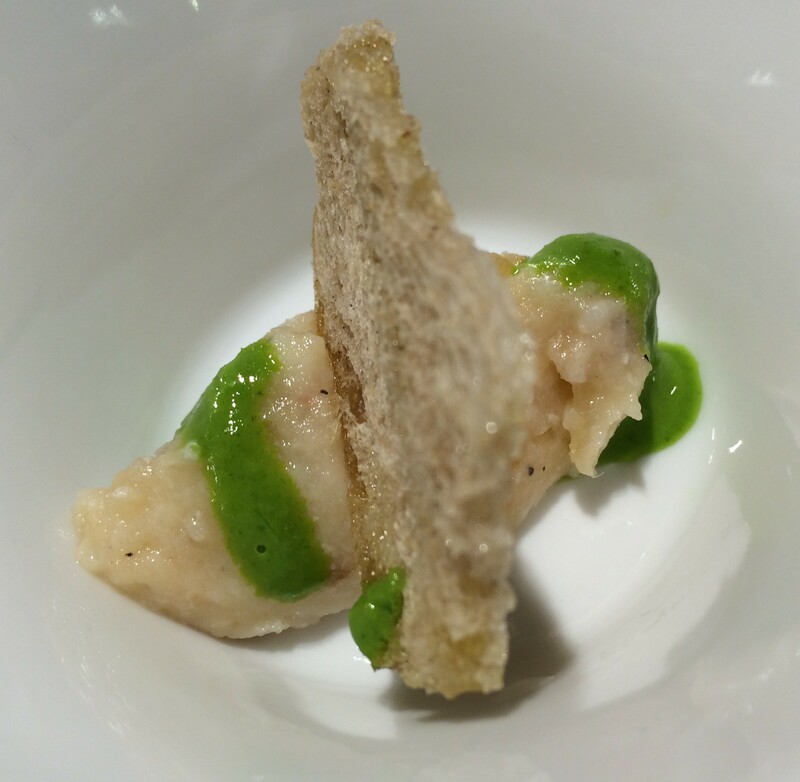 This is a mousse of Prawn and Potato with a nice cracker and a basil sauce. Light and refreshing, a nice way to get us ready for the meal. 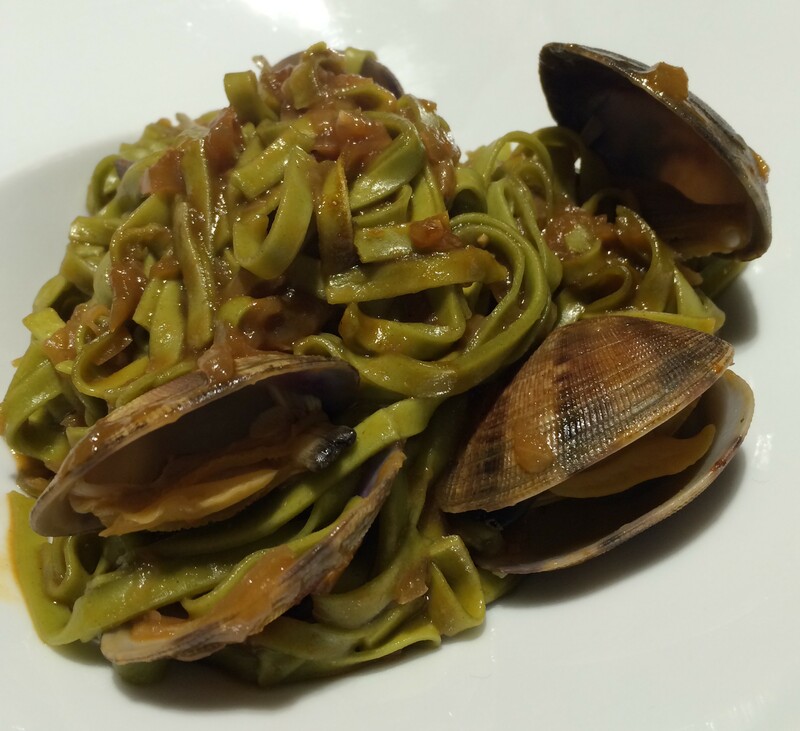 The Chlorophyll Pasta with Clams and Txakoli Wine. Mixed with some braised onions, it was tart, sweet and fresh. A lovely starter. 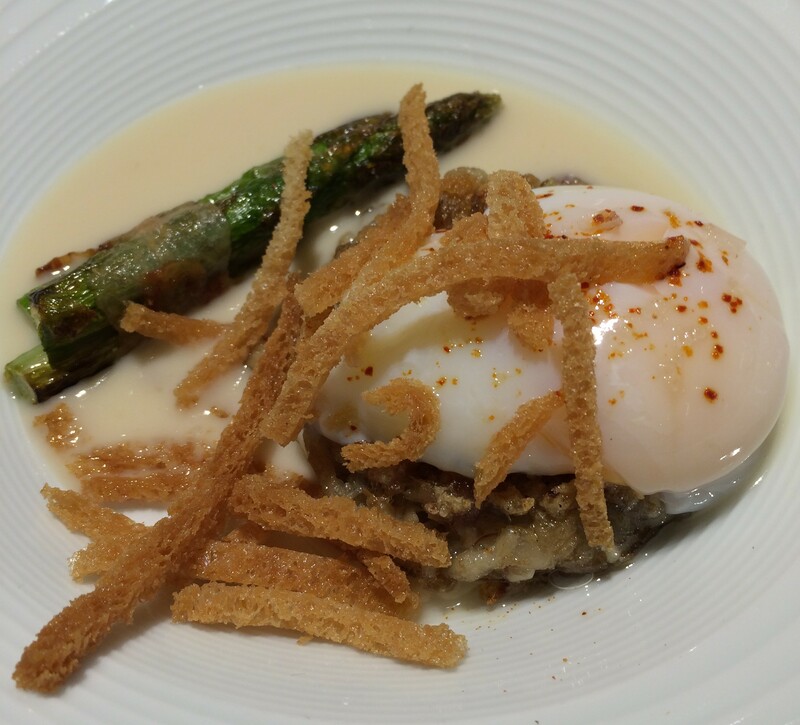 Our other starter was the Low Cooked Egg, Croutons, Asparagus and Ham Consomme. The consomme was a highlight. Not too heavy or salty, but a great ham taste to it. The egg was cooked to perfection as well. Mixed all together, wow. How did we make out on the mains? 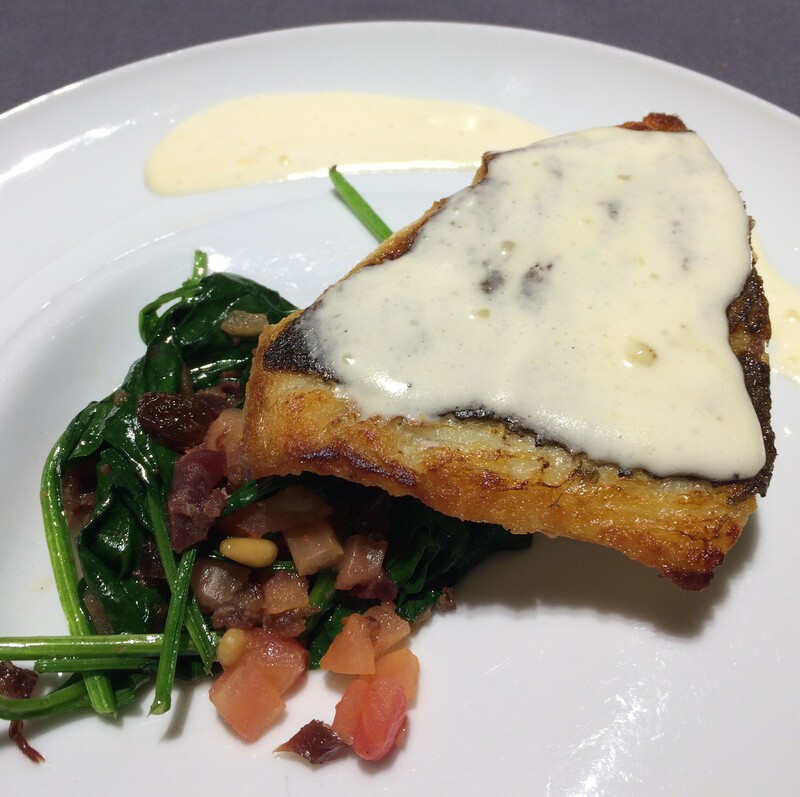 Pan Fried Sea Bream with Garlic Mayonnaise and Catalan style Spinach. The fish was cooked perfectly, and the flavors melted. 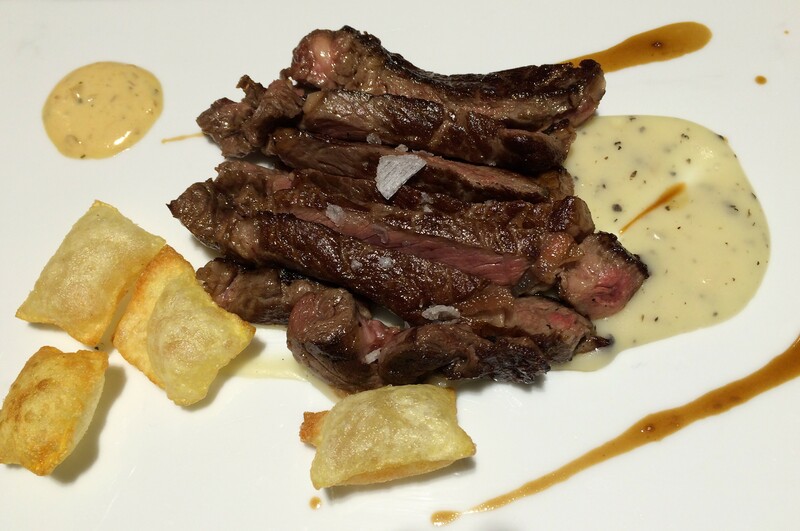 We also went with the Ribeye with truffle parmentier, Pomme Souffle and a Bearnaise Sauce. The beef was so tender and melting, flavored just right. The Bernaise helped to compliment the beef. Dessert time was also a highlight. 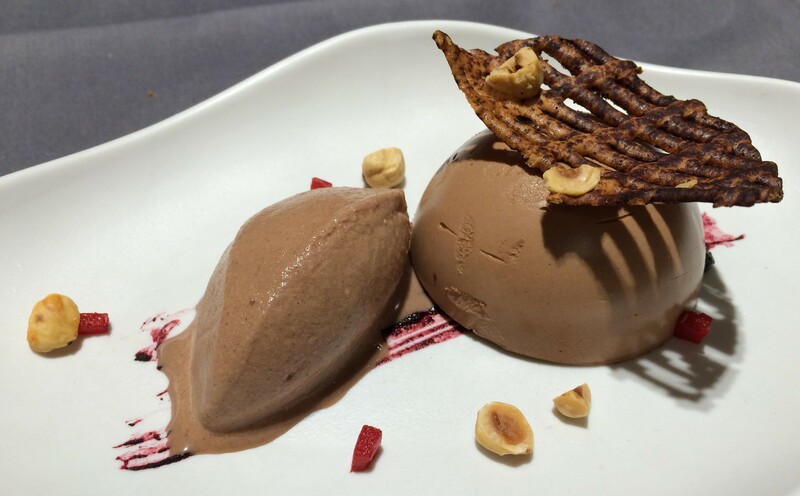 A Chocolate Mousse with Red Fruits and Hazelnuts. The Mousse was so light and so rich. A great sweet ending. 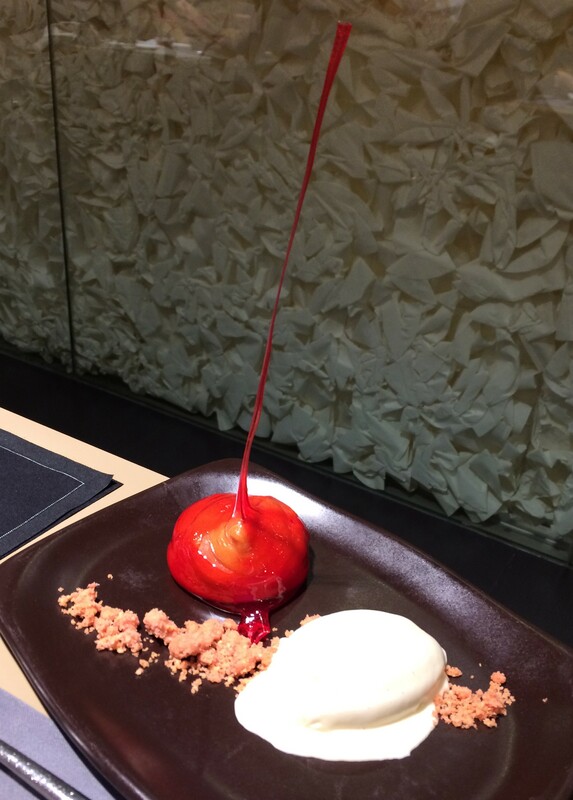 Then we have a “Love” Apple with a tandoori crumble and vanilla ice cream. The candy is extended up so far, it was quite a site as it approached the table. The crumble was quite interesting, with the tandoori flavor. It was a candied apple in an exquisite manner. Some chocolates to end the night. Quite an experience. For such a great price, to eat the food of a Three-Star Michelin chef, you can’t beat it. 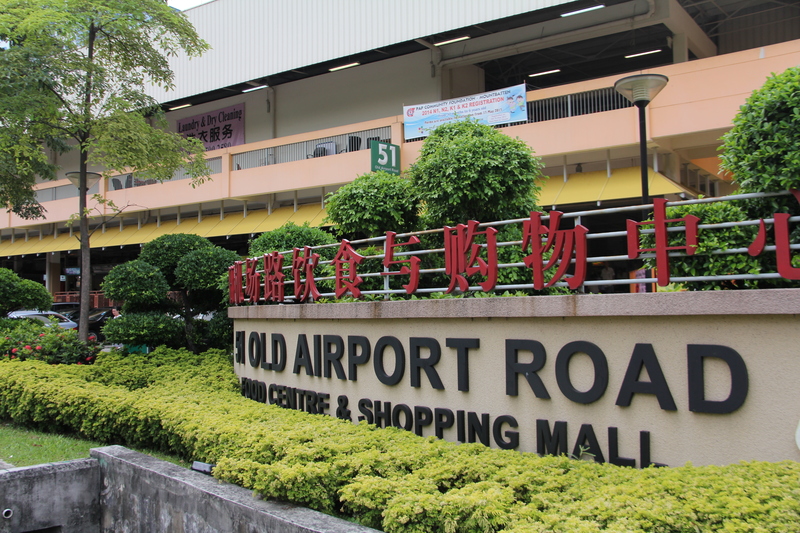 You need to try it if you want to experience high cuisine for an affordable price. 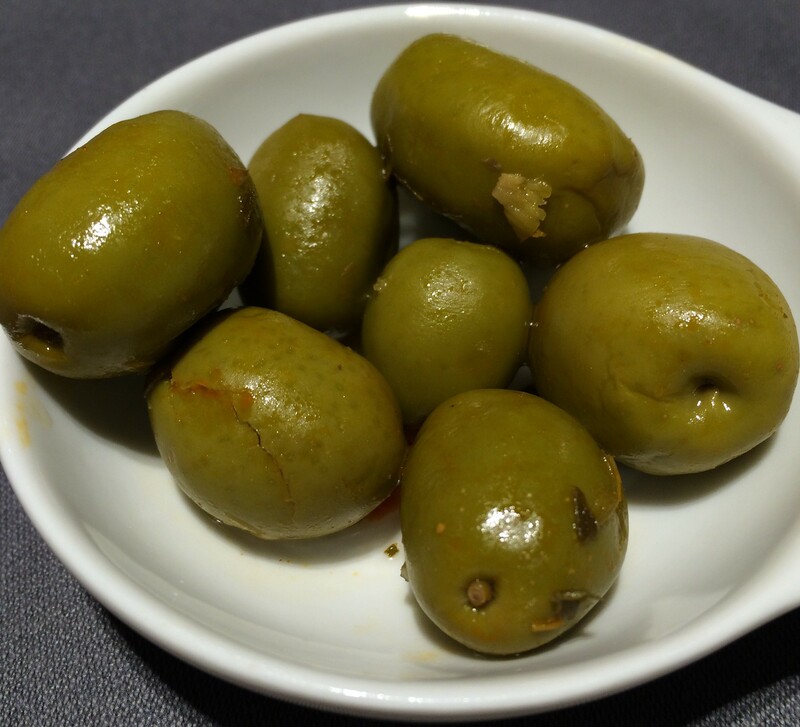 Posted in Barcelona, Celebrity ChefsTagged Barcelona, Michelin Star, SpainBookmark the permalink.